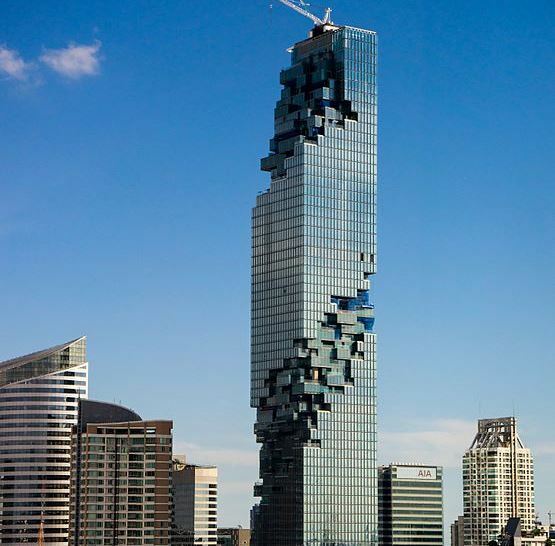 The 314 metre high MahaNakhon is the tallest building in Thailand. The 314 metre high MahaNakhon is the tallest building in Thailand. Its pixelated glass façade designed by Ole Scheeren has earned it the moniker of Pixel Building. The mixed-use skyscraper has hotel, retail units, and residences spread over 77 floors.